Due to some reasons like you don’t want your kids to use apps on your iPhone/iPad, you have already set up a passcode for Restriction feature. However, you forgot the passcode when you want to disable Restriction on your iPhone again. A factory reset can help you remove the Restriction passcode on your phone, but all of you data will be lost if you don’t have any backup available. 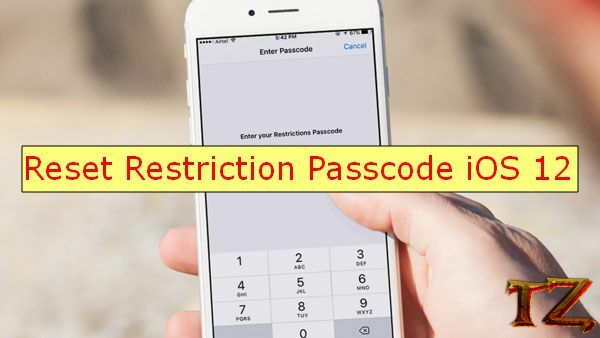 I know many of you here are dealing with this trouble on your iOS device, so in this tutorial, we’ll show you how to reset Restriction passcode on your iPhone/iPad running iOS 12 version. You can also apply this method to lower iOS versions. Since the passcode of Restriction is not as difficult as iCloud password, So you can easily recover it just by using a third-party tool and get it back in a few clicks. Now, click on Summary tab, click on This Computer > Encrypt iPhone Backup and enter a password in the box. Note this password to use later. Click on Back up now and iTunes will start backing all data on your iPhone/iPad. Wait for the process to complete. Once done, you need to download Pinfinder tool to recover Restriction passcode on your device. After downloading the tool, extract it. Remember that iTunes is still opening and your device is connecting to your computer. Wait for a few seconds and you will see the Restriction passcode of your device on the screen. That’s all you need! Now, simply go to Settings > Restriction > enter the passcode and disable it.